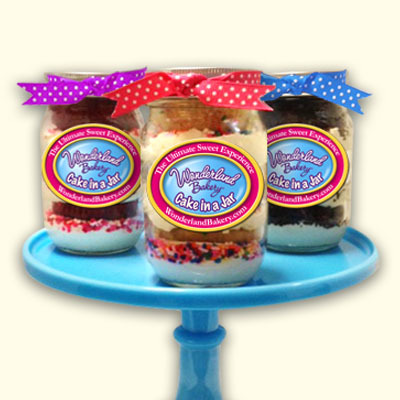 Wonderland Bakery Vanilla Overload Cake in a Jar is the perfect combination of cake and frosting delivered fresh baked to your door. 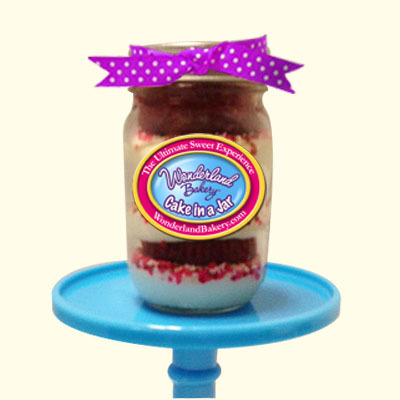 Moist delicious Red Velvet cake layered with our light and fluffy french vanilla frosting with heart sprinkles in a pint jar. Fresh for 5 days. No refrigeration needed. Your order ships 24 hours after you place your weekday order.